In our commitment to help you reveal a better version of yourself, we have gathered and reviewed 5 of the top facial masks made for combination skin. These products were then assessed based on their ability to control shine, usability, and friendliness on the budget so that we can present to you what we think is the best face mask for combination skin. 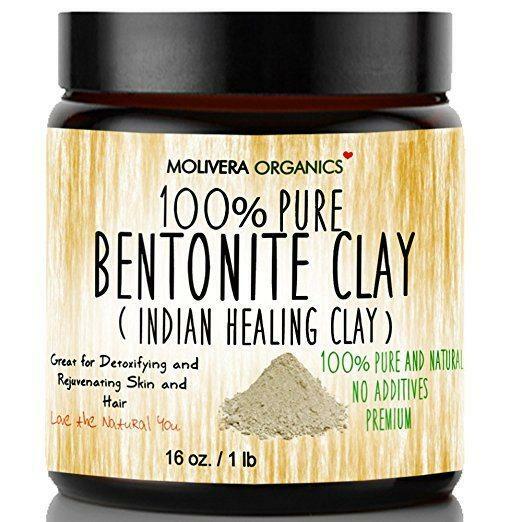 The Bentonite Clay (Indian Healing Clay) by Molivera Organics detoxifies and regenerates the skin to improve its appearance. It also helps increase blood circulation for a more radiant glow. Go for Biore’s Self Heating One Minute Mask for a quick yet effective treatment. Enriched with charcoal, this melts away oil and dirt by opening pores and drawing impurities away from them. Choose the Neem Clay Mask by JustNeem for a mask full of anti-microbial qualities. It also promises vibrant, clear, and healthy skin, and is suitable for all skin types. The Deep Cleansing Mask by Thena Natural Wellness promises fast results. It is also a 4-in-1 product, and comes in a tube package to make application easier and prevent it from drying out. Check out the best face masks for combination skin and see why they're our favorites. Its 100% Pure Sodium Bentonite Clay content makes this the best face mask for combination skin. This ingredient has a lot of benefits including being great for dry skin and removing toxins. Hypoallergenic and chemical-free, this can be used by those with sensitive skin. It is highly detoxifying and leaves skin clear, with minimized pores, and with a completely different glow. Rejuvenating and detoxifying, Bentonite Clay acts like a magnet. It is capable of producing an electrical charge that attract impurities and toxins that degrade the health and look of the skin. It also promotes blood circulation and helps in replenishing minerals in the skin. And because it regenerates and heals skin tissues, this mask helps improve the look of wrinkles and scars. Aside from the face, this product can also be used on the hair and the body. It increases the hair’s ability to absorb moisture to make it livelier, more manageable, and softer to the touch. Because it contains charcoal, this will work great for your combination skin. Charcoal is great at absorbing excess oil and dirt from the pores, leaving you with clear, blemish-free skin. On-the-go people will love this product. Activated by water, the mask gradually heats up as you massage it on your skin—it will not harden, and after a minute, you can completely wash it off. What’s cool about this mask is it gives you two different sensations. It warms up while opening the pores to remove dirt, and cools down after rinsing it off to give you tingly-smooth skin. Tested by dermatologists, this product is oil-free. It also boasts of being the winner of Allure’s Best of Beauty Award in 2014 and 2015 as well as the Readers’ Choice Breakthroughs in 2015. This product doesn’t dry out the skin, and in our opinion, very hygienic to use. It is also perfect for lazy people, because let’s be real: waiting 10 minutes for a mask to dry is a LONG time. This is a must-try product because of its Neem and French clay contents. Soothing and antimicrobial, this mask calms skin and deals with the root cause of the problem. Known to be hydrating, Fresh Green Clay eliminates the drying tendencies of the clay and removes toxins. Neem, on the other hand, helps in soothing, repairing, and protecting the skin. This product also contains pieces of Neem leaves and a combination of essential oils. The former offers a slight exfoliation, while the latter tighten pores and help captivate the senses. Gentle, this clay mask can be used by those with sensitive skin. This product follows a holistic approach and uses the best of nature to give you clearer, smoother and a healthier face. A fusion of Peppermint Essential Oils, Lavender, and Rosemary helps revive the spirit and calm the mind. Aside from aroma, it promotes blood circulation to generate a more youthful glow. All you want in a face mask is here. Neem has high levels of Vitamin E, is highly antimicrobial, and packed with antihistamines, which makes it a great solution in fighting skin problems. This face mask contains 100% natural Dead Sea mud. The minerals found in this ingredient hydrate, soothe inflamed skin, and soften dry skin. Dead Sea mud is rich in magnesium and sodium, minerals known to give relief to various skin conditions. These include hives, psoriasis, eczema, and rashes. A 4-in-1 product, this mask detoxifies, purifies, hydrates, and nourishes the skin. It is made from 100% natural ingredients, has anti-aging qualities, and can be used by those with sensitive skin. This product claims to be the “fountain of youth.” With skin-friendly ingredients like Shea Butter, Aloe, and Vitamin E, it refreshes and revitalizes the skin and improves its overall elasticity. Unlike other face masks, this product comes in a tube to make it more travel-friendly. It also dries and hardens up quickly, requires no effort to wash off, and does not leave the skin dry. Nourishing and clarifying, this mask can be used by both men and women, whatever your skin type. And because it uses natural ingredients, this product can be used on any part of the body. The charcoal and black sugar contents are something your combination skin . Activated Charcoal absorbs impurities and excess oil, and Black Sugar exfoliates skin. Great for all skin types, this product doubles as a scrub and a mask. It cleanses the skin and improves overall clarity and softness without overdrying the skin and leaving it feeling tight. The texture of this product is a bit gritty, resembling a facial scrub rather than a mask. It is also a little thick, but when you start working it on your skin, it becomes thinner and easier to spread. And since this is a warming mask, expect a slight warming sensation once it touches your skin. It is however a pleasurable experience (not burning or tingling,) and goes away pretty easily. Facial Masks are probably one of the most overlooked products in skincare. Some think they aren’t necessary, but we’re going to bust that myth and show why you need them in your life. First is they help you relax. Aside from improving your skin’s overall appearance, using facial masks can also be therapeutical and a way of relieving stress. Second is that they clean deep down. Using facial masks can help remove excess oil and dirt your regular cleanser might have left behind. Wearing masks allow you to “detoxify” your face, which results in an improved appearance of pores you can actually feel and see. Third is they help in unclogging pores. Having clear pores result to having radiant, beautiful skin. They also promote skin that glows. Face masks help in stimulating the circulation of blood, which then results in an overall improvement in the way you look. Lastly, they help complete your skincare routine. Face masks make other skincare products be absorbed better and thus, be more effective. Look for those that contain salicylic acid. This ingredient helps reduce the production of oil and thus, decreases acne. Go for masks containing clay. Rich in silicates, clay leaves a glossy residue on the skin’s surface, which makes it feel temporarily smooth. Wearing face masks should be the last step in every skincare routine. They do an effective job in clearing your complexion and is literally like the icing on the cake. The Bentonite Clay (Indian Healing Clay) by Molivera Organics is the winner of this roundup as the best face mask for combination skin. It promotes cell regeneration to reduce fine lines and tightens skin for a youthful appearance. This product reduces the appearance of pores for that poreless and flawless look. It can also be used on the hair, to bring back the life it once lost due to certain elements.